When Seán Óg Ó hAilpín gave that great victory speech in 2005 after Cork had won the Liam McCarthy for the second year in succession, little did Cork fans believe that it would be the start of the second longest period in Cork’s hurling history without winning the All-Ireland (1903 to 1919 was the longest). 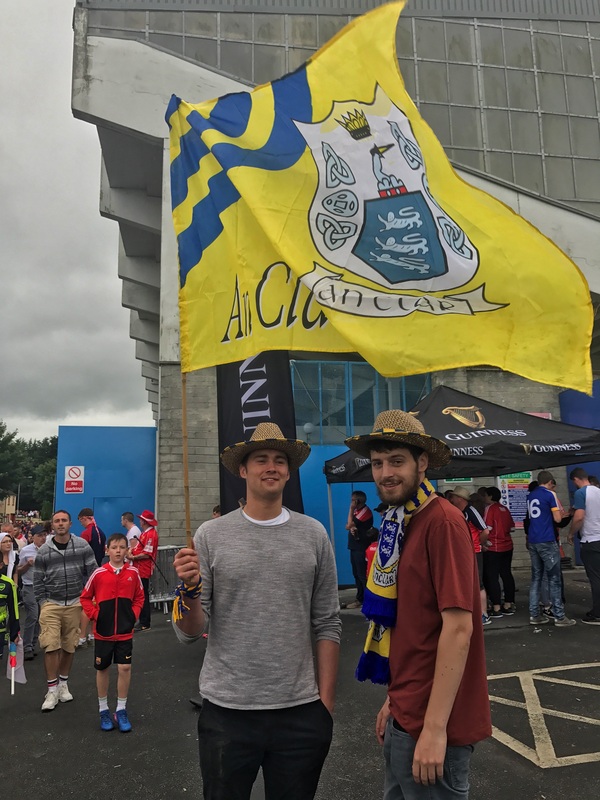 In 2013, Cork came within seconds of bringing the cup back to Leeside, only for Clare’s corner back, Domhnall O’Donovan, a hurler who had up to then never scored in the championship, to hit the equaliser and bring the game to a replay where Clare would win deservedly and distance Cork further from the dream of a 31st All-Ireland crown. 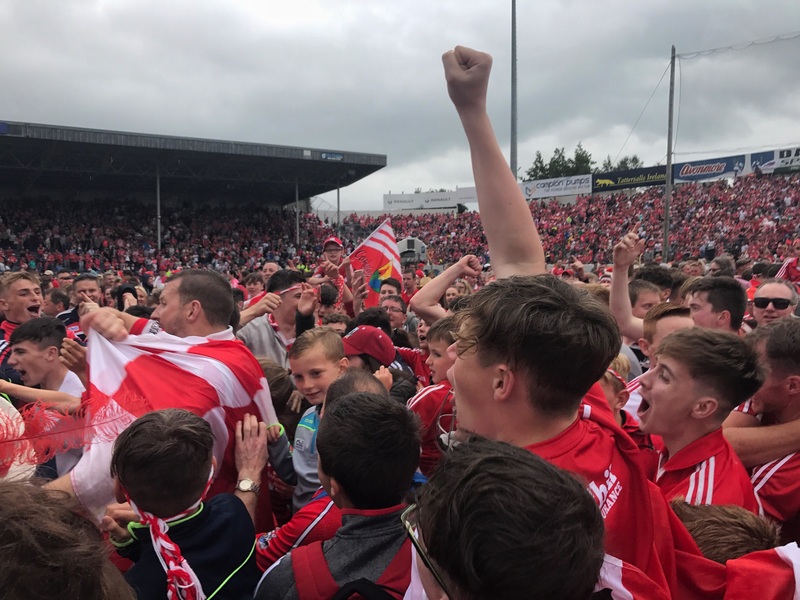 This Sunday, we can allow ourselves to dream again as the Cork hurlers welcome Clare, down the Pairc, to Pairc uí Chaoimh for the first Munster championship match in this year’s new format and Cork’s first championship game in the newly-refurbished stadium. I fell asleep as a child in the hurling fields of the Mardyke, Thurles and Croke Park. My father would stand at the foot of my bed and bring to life the high drama of hurling. He was my very own Micheál Ó Muircheartaigh and my bedroom became my very own stadium. I would lie, head perched on my plumped up pillow, enthralled as he recounted the great games he had been to. Battling sleep, as the stories went on, I would try keep myself awake long enough to learn if the swing of Christy Ring’s hurley could suddenly turn a game where the blood and bandage of Cork seemed certain for defeat, into a magnificent victory. It was not only glorious Cork victories in those bedroom stories, though. No, I learned young that giving your heart to your county also meant enduring heartbreaking defeats, referees robbing us, crossbars denying us. Sport can be cruel, my father knew that only too well from following the Cork hurlers (and more so the footballers) through the years. I guess in telling me stories of Cork’s losses, he prepared me for it too. But who dreams of losing? It was with dreams of glory I used to go to the matches with him. The first time I went to Pairc uí Chaoimh (the Pairc as we all call it in Cork) was for the official opening in 1976. I was 7 years old. All the family went. We got seats high up in the stand and I remember being confused as to how it was called the stand when we were all sitting. Cork invited the then All-Ireland champions Kerry and Kilkenny, and bringing delight, and much hope for the championships, to all our family Cork won both matches. I recall how dark it was where we were sitting high up in the stand, but the beautiful blood red of the Cork jerseys against greyness of the day shone for me. The black and amber of the Kilkenny jerseys and the Kerry green and gold were decidedly unappealing. Even at that tender age I knew that any team worth supporting had to be in red; not all red, mind you. Red and white. The next time I went to see Cork play, again down the Pairc, was against Kerry in the Munster Football Final of 1976. Kerry were All-Ireland champions and had what would go on to be the greatest gaelic football team of all time. The match attracted supporters in their thousands from both counties. My father had made a little wooden seat for me to sit on between his legs in the stand. We sat near pitchside in the covered stand near the Blackrock end terrace and I remember the swell of the late crowd causing the stewards to open the gate on to the pitch to leave the public in. It scared me to see so many people rushing on to the pitch. I remember my father laughing and telling me it was OK, that we were there to see a football match and there was nothing to worry about. Nothing to worry about except for those Kerry footballers. That match ended in a draw and a week later we were back down the park for the replay. A replay where a referee robbed Cork of a Munster football victory; that and a Kerryman, Jimmy Deenihan who seemed to love the Cork jersey so much that he tried all he could to get it off Jimmy Barry Murphy every time Jimmy got near the ball. It would be another 9 years before Cork would win a Munster Final. In that time, Kerry would dominate gaelic football and break my heart over and over again. “There’s always the hurlers.” my dad would say in consolation as we streamed out of the Pairc after another loss to Kerry. And in those days there always was. A few weeks later we were back down the Pairc to see the glorious Cork hurlers light up the stadium with a magnificent win over Limerick. The roars meeting each Cork goal (they got 3) shook me to my core, and I left there dreaming of players like Ray Cummins and Jimmy Barry-Murphy. That team would go on to win 3-in-a-row All-Irelands. Those days for a young boy from Cork it wasn’t so much of a dream for his county to win the All-Ireland. It seemed easy. I recall in 2013 when Domhnall O’Donovan spilt the posts for Clare and the referee blew up the match on Nash’s puckout, that the dream was so, so close and yet so distant all in one instant. But that is long gone too. We are all back down the Pairc on Sunday and Cork and Clare fans will allow themselves to dream again. This entry was posted in Brendan Ó Sé. Brendan Ó Sé photography, GAA and tagged All-Ireland 2018, All-ireland hurling championship, Brendan Ó Sé, Brendan Ó Sé GAA, Brendan Ó Sé heart of hurling, Brendan Ó Sé photography, Clare, cork, Cork hurlers, Down the Pairc, Dream, heart of hurling, Munster Hurling Championship, Pairc Ui Chaoimh, To the heart of hurling.